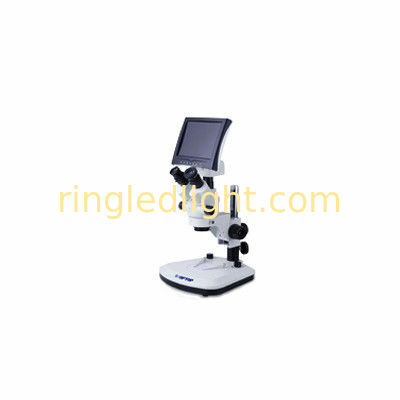 High quality optical system, and optical components coated with special coating, created a high-quality optical system. Standard magnification 7X~45X. Use optional auxiliary lens, the magnification can be 3.5X~180X. Long working distance to create enough space for the uses. Suit to ergonomic design, feel less fatigue when long time use.